NO. 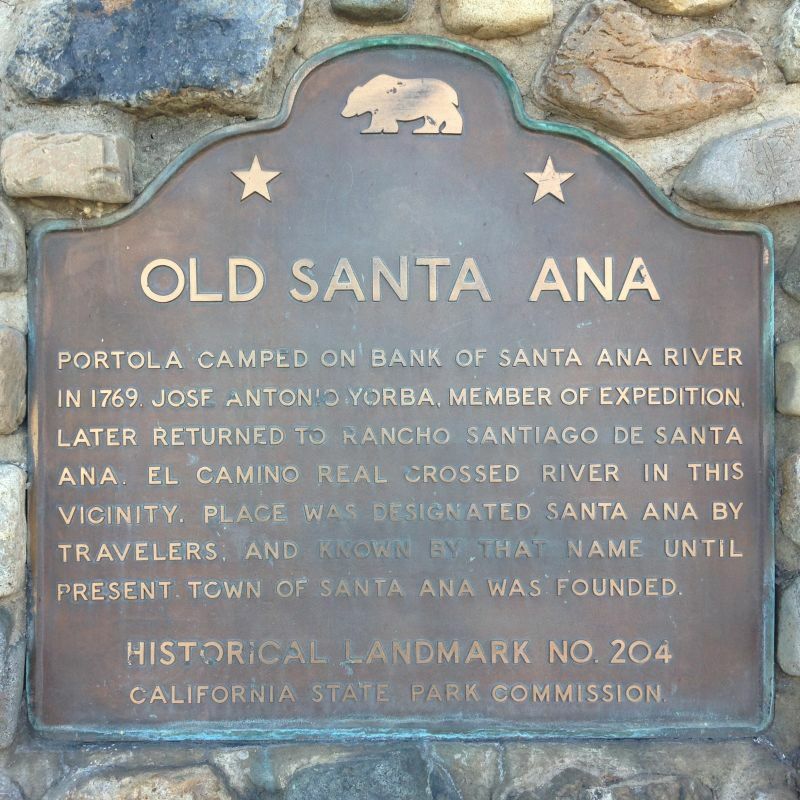 204 OLD SANTA ANA - Portolá camped on the bank of Santa Ana River in 1769, and José Antonio Yorba, a member of the expedition, later returned to Rancho Santiago de Santa Ana. El Camino Real crossed the river in this vicinity. 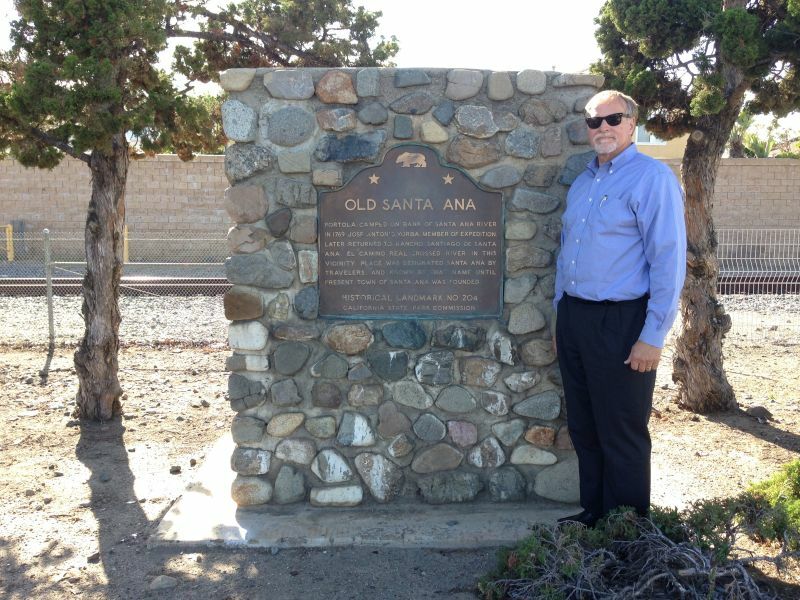 The place was designated Santa Ana by travelers and known by that name until the present town of Santa Ana was founded.